Effective 2010, Brisbane Council introduced the ‘Eat Safe’ 5-Star food safety rating system to monitor and regulate all food businesses, ensuring that food for sale is safe and suitable for human consumption in compliance with the Food Act 2006, the food safety standards and good management practices. A 5-star food safety rating can have a significantly positive impact on the reputation of your catering business and is a great marketing tool for boosting customer confidence in the safety and quality of your food. It highlights your commitment to maintaining the highest standard in food preparation including temperature records and cleaning schedules. Excellent Performer - Fully compliant with the Food Safety Standards and overall very high standard of food safety management practices. The business demonstrates a high level of compliance with the Food Act 2006 and excellent safety management practices. Very Good Performer - High standard of compliance with the Food Safety Standards and overall good standard of food safety management practices. Good Performer - Good level of compliance with the Food Safety Standards and overall acceptable standard of food safety management practices. Poor Performer - Low level of compliance with the Food Safety Standards with more effort required. 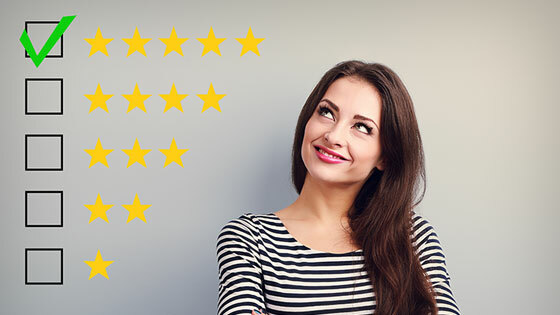 Keeping a tight rein on all operational aspects of the business is critical to maintaining your well-earned 5 Star rating. The process does not have to be difficult, time consuming or costly. Once systems are put in place it’s comparatively easy for staff to work with on a daily basis. Remember, food safety problems can seriously damage a catering business’s reputation; however, five stars can definitely enhance it! It’s essential that your Food Safety Supervisor remains vigilant; supervising staff in all aspects of food safety within your catering business. They must be able to recognise, prevent and alleviate food safety hazards and adhere to the required food safety training and competency standard requirements. Maintain concise Management Practices i.e. management documents that help identify and control food safety hazards in food handling. There are no justified complaints within the previous and current licence periods. There are no critical, major or minor food safety risks identified in Section A during the food safety audit. The food business has achieved 14 points or greater in ‘Good Management Practices’ – Section B. The previous food safety inspection has no outstanding requirements. All equipment that comes into contact with food must be well maintained, fitted correctly and kept spotlessly clean. Regularly check the performance of your commercial kitchen equipment; particularly the refrigeration/freezer units ensuring they remain at the desired temperature for food safety. A correctly planned and designed commercial kitchen, fitted out with the right catering equipment supply are key elements in achieving and maintaining a 5-star food safety rating. ACE Catering Equipment has been supplying premium quality commercial kitchen equipment for over 38 years and offers clients a One Stop Shop, Turn Key Fitout service. We can also offer the services of recognised Accreditation and Compliance Certifiers.